Calf pain is a common complaint. You can get it whether you are a keen runner or just busy on your feet all day. Read more to find out how our Bicton physiotherapist can find out what is causing your pain – and how to stop it. We know the calf as the back muscles of the lower leg. There are two large muscles in the calf as well as other smaller muscles. Separating them is connective sheaths called fascia. Most of the muscles in the calf work to point the foot down. The muscles also function to support the knee and foot. In the calf area there are also nerves, arteries and tendons. Any of these can also be a source of pain. When making a diagnosis of your calf pain your bicton physiotherapist will want to know where you feel your pain. Calf pain can be pin point pain or a general ache that is hard to localise. Another important factor is what brings on your calf pain. Is it there when you wake up, or with running after a certain point? Or is it there all the time? This is important to your physiotherapist bicton making an accurate diagnosis. But why is my calf pain happening? What will your physiotherapist do for your calf pain? 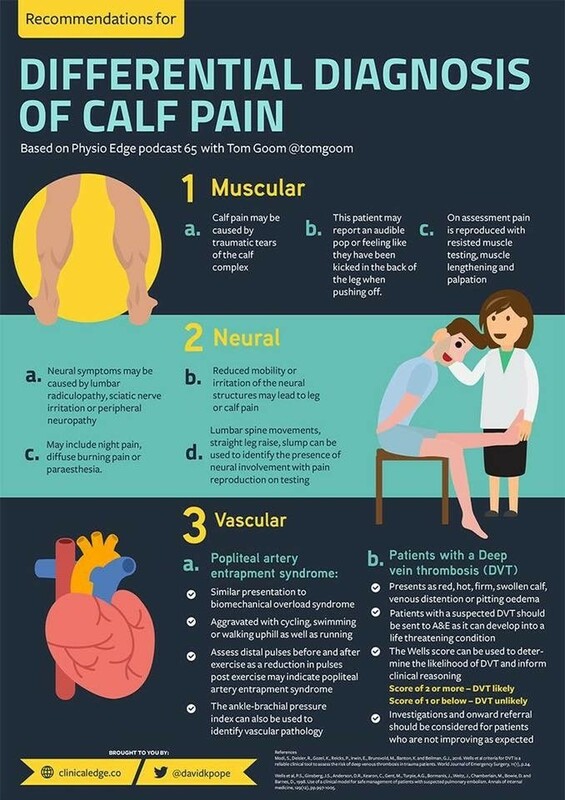 Depending on your calf pain your physio bicton will do a variety of treatment techniques to target the correct tissues. Treatment of calf pain will depend on the source. If it is mainly a localised problem, then local treatments include mobilisation, massage and dry needling. If there is referred pain your bicton physio might treat your back or nerves. If the pain is referred then treatment may be directed to other areas of the body. Your bicton physio will also perform a thorough biomechanical assessment. This will assess muscle control, static and dynamic posture of the whole lower limb. Trunk stability and hip control can also affect the loading of the calf. Your physio bicton will provide you with exercises to overcome any issues they find and provide a treatment management plan outlining the process of your rehabilitation. Is Calf pain your Achilles heel? Well it doesn’t need ‘tibia’ a problem call in to Apex Physio Bicton and let us ‘fibula’ it out.